Product prices and availability are accurate as of 2019-04-20 11:30:46 EDT and are subject to change. Any price and availability information displayed on http://www.amazon.com/ at the time of purchase will apply to the purchase of this product. 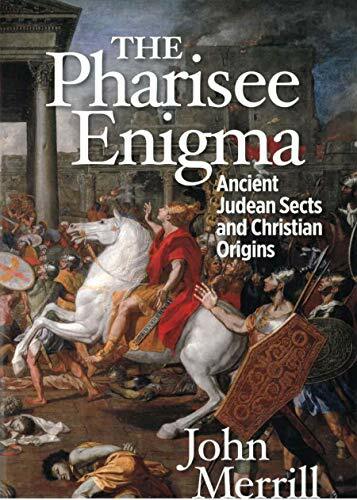 The Pharisee Enigma leads readers on a fascinating journey through the often unexplored period of history from which modern Judaism and Christianity emerged. Written for the nonspecialist, the well documented story will stir controversy as it challenges conventional wisdom about the roots of two world religions. Author John Merrill highlights the economic and social turbulence during the centuries in which Judeans struggled to maintain their distinctive identity in a world dominated by a succession of great powers: Persia, Macedonia and ultimately Rome. Woven into the story are profiles of some of the ancient world's larger-than-life figures: Alexander the Great, Julius Caesar, Mark Antony, Cleopatra, Herod the Great, John the Baptist, Jesus of Nazareth, and the apostle Paul,to mention a few.